Zcash (ZEC) is very few cryptocurrencies which provides private transactions. The only bit of problem is that most of the investors, as well as cryptocurrency users, back Monero (XMR). Zcash (ZEC) has always been a distant cousin when it comes to privacy coins. However, there have been a few recent developments in Zcash (ZEC). 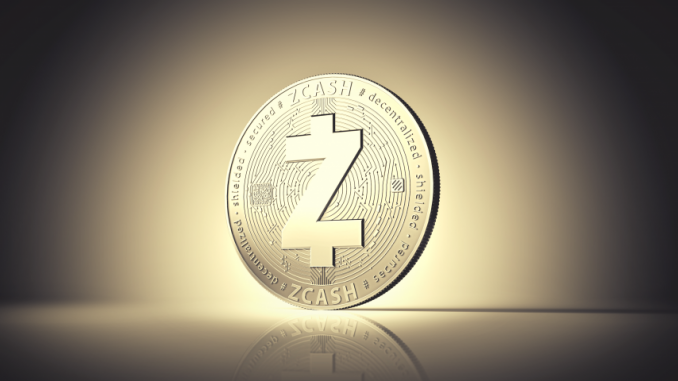 The question is whether these recent developments warrant another look towards Zcash (ZEC). Is it time to take a second look at Zcash (ZEC)? Before we go into the recent changes, it is time to understand how Zcash (ZEC) works. One of the main advantages of Zcash (ZEC) is that it is up to the user to decide if they wish to opt for private transactions or if they wish to choose public transactions. The users who do not want to opt for private transactions can opt for the most affordable public transactions. As a result, they will not have to shell out any extra money. Moreover, since the users do not have to opt for private transactions compulsorily, the network is not clogged either. As a result, the transactions are done at a faster pace. The clogging of the system is proving to be the Achilles heel for Monero (XMR). Monero (XMR) compulsorily provides anonymous transactions. Moreover, since Zcash (ZEC) offer transparent transactions as well, it is more shielded from the regulatory restrictions as well. Owing to this very reason, in the future whenever the regulations around the anonymous cryptocurrencies tighten, Zcash (ZEC) will have an advantage. It can sidestep these regulations quite quickly as it offers public transactions as well. Recently, The developers of Zcash (ZEC) announced that it had eliminated the counterfeiting vulnerability. The vulnerability existed for a long time. It is made the whole host of cryptocurrencies highly risky. However, Zcash (ZEC) is one of the very few cryptocurrencies which has eliminated this bug. When it comes to secure cryptocurrencies, it gains an advantage over the others. The speed at which the vulnerability gets eliminated speaks volumes about the development team. If the development of Zcash (ZEC) continues at the same pace, it will surely progress rapidly in the future. When that happens, it might warrant attention from the mainstream investors as well. Thus, when it comes to the privacy coins, instead of ignoring Zcash (ZEC), it is time that you start paying attention to it. Since it is more secure as compared to some of the other cryptocurrencies and provides transparent as well as anonymous transactions; it has an advantage.